Via UCC’s Dave Murphy comes news that Avery have released free label printing software for the Mac. 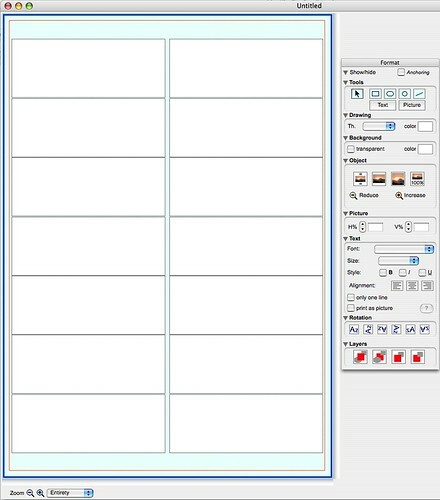 templates for all Avery printable products, support for both Printer Fonts and Macintosh Fonts. Mail merge from Excel, Word, ClarisWorks, FileMaker and AppleWorks. Graphics importing and graphics tools. What a pile of Junk that software is ! This is total and utter unusable CRAP! Very difficult to use, I was very disappointed.